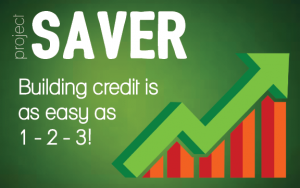 Project SAVER: Build Credit. Save Money. Earn Cash. Waco, TX – January 30, 2018 – What if we told you were told you could improve your credit, build up a little savings, and earn $300? All in 9 months. Would you be interested? That is exactly what our newest program, Project SAVER can do for our clients! “We were frustrated noticing that many of our clients had few credit-building options available to them. When loan products were available, they often had very high interest rate. We are thrilled to be able to not only off this credit-builder but that it assists them in becoming more financially stable, as well!” says Codie Robinson, Program Specialist at NeighborWorks Waco. This is the first program of its kind in Central Texas, and we at NeighborWorks Waco are so excited to offer it to the community. 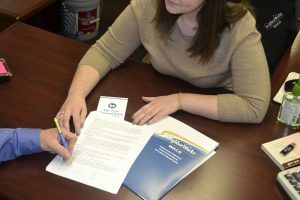 We have partnered with First National Bank of Central Texas to create a 9-month secured loan product at a 0% interest rate for clients participating in this program. The client pays back the $300 secured loan over the course of 9 months and, with on-time payments, can expect a credit improvement of over 50 points! For many of our clients, this is the difference in renting or purchasing a home of their own! At the end of the program, not only will the participant see an increase in credit, but they’ll also get back the $300 they paid in to the bank – insert “And that’s not all!” infomercial quote here. They also receive $300 from NeighborWorks Waco simply for making their payments on time! Project SAVER is a win-win-win-win type of program. The bank wins, as they gain access to clients that were unbanked previously. The client wins, as they see an increase in credit and savings. NeighborWorks Waco wins, as we see our clients transform their financial capability. And last, but certainly not least, the community wins, as more money is invested in the local economy. If you or anyone you know would benefit from this great service, give us a call! This program is not just open for current clients, but the community as a whole. I. Am interested in this program .what is what I would to do beside this. Would this help us also to build our home in which I have always been wanted. Hi, Juanita! We’re glad you’re interested in our programs! Be on the lookout for an e-mail with more information! Madison, we’ll get more information to your email ASAP! Please send me more information on how to get started! Please email me for information on how to sign up.